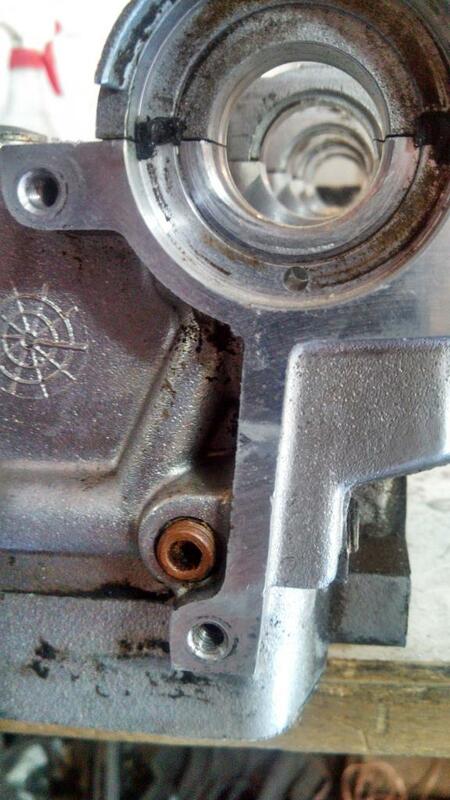 I discussed this issue with ARP after having a customer who lost a set of cams, possibly related to this issue. ARP took quick action and redesigned their bolts to address this issue as well as the fact that they used to hit the 16 valve distributor. If you get an old set you could either do the below mods or you should be able to exchange them for a set of the new design through ARP. The revised design went into production around 2014 so the old design should be very rare these days. 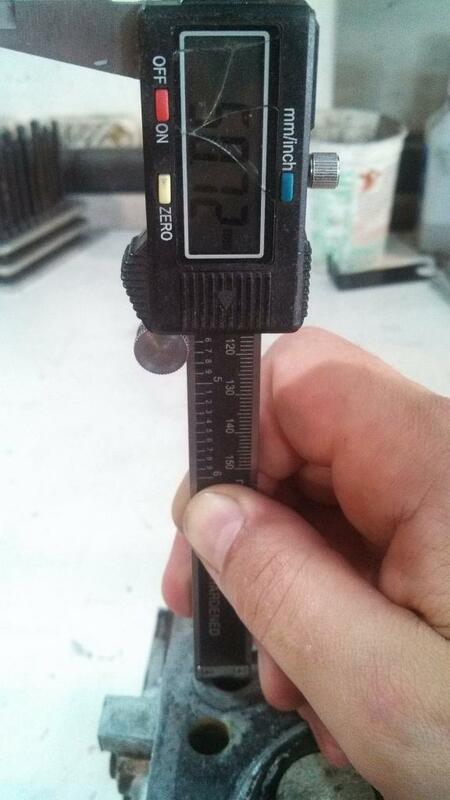 To confirm you have the new design you can measure the waist. The unthreaded section of the stud. If it is smaller than 9.6mm it is the new design and this guide does not apply. This guide is only applicable to the old design which will measure 10mm at the waist. For years there have been reports of ARP head bolts occasionally blocking off an oil passage in the head. For anyone who doesn't know, there is an oil passage in the #1 exhaust side bolt hole IE the one right under the distributor on the 16v. Oil travels from the block to the oval hole in the headgasket up the bolt hole to an oil port about 80% of the way up the bore. 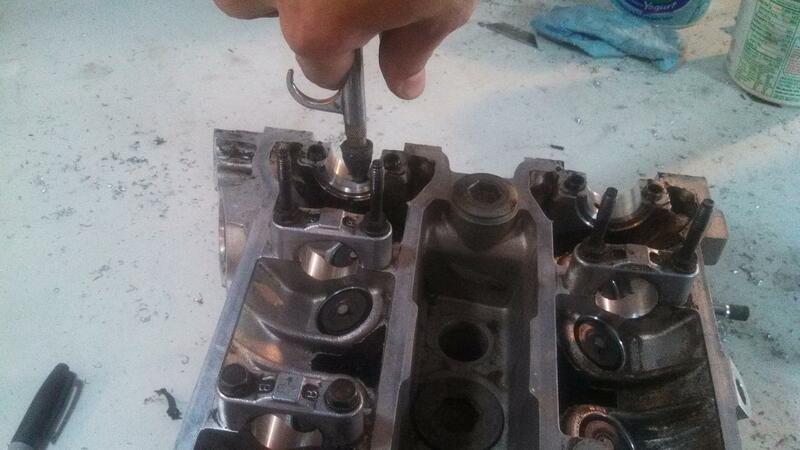 The stock head bolts have a waist on them that allows plenty of room for oil to flow up the bore. The ARP hardware on the other hand is the same diameter all the way through. It is therorized that on rare occasion the bolt can get pushed into the wall where the port is either mostly or completely blocking oil flow to the #1 intake and exhaust cam journals. I just finished talking to ARP and we are workign on coming up with a long term solution. It may be possible to modify the bolts to have oil clearance. Otherwise I am trying to talk them into including a warning and instructions with the bolts. Until then this will have to do. There is an easy fix to this. My solution is to counterbor that bolt hole from the bottom up past the oil port. It is very important not to drill all the way through as the original diameter at the top will ensure the bolt stays centered and allows a passage for the oil to flow through. 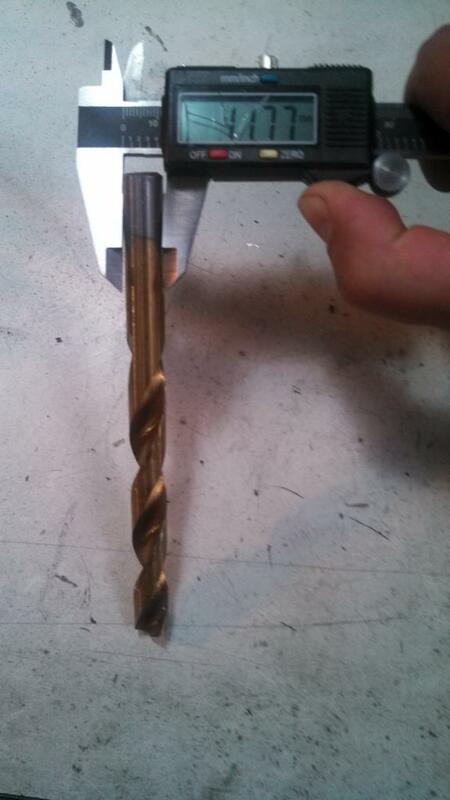 The drill bit does not need to be very big at all. The stock bore is 11mm in diameter. I recommend using a drill bit .5 to 1mm bigger than the bore. The port is approx 51 mm up the bore from the bottom. 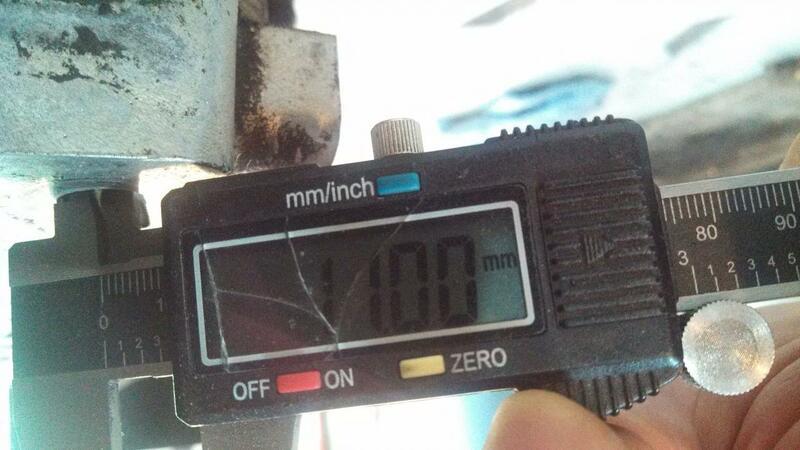 The total depth of the bore up to where the head bolt washer sits is approx 60mm. I split the difference and go with a drill depth of 55mm. You can mark the drill bit with a sharpie or tape. 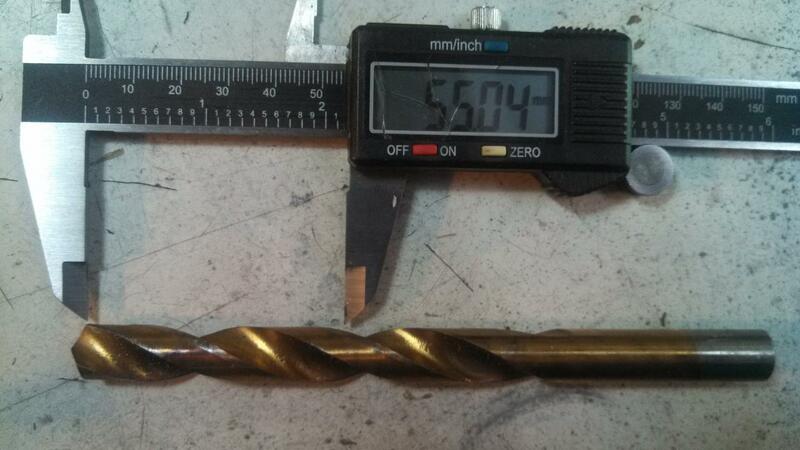 Make sure to measure from the full width of the drill bit and not the tip. Drill down do the mark on the drill bit. Make sure you don't go any deeper. 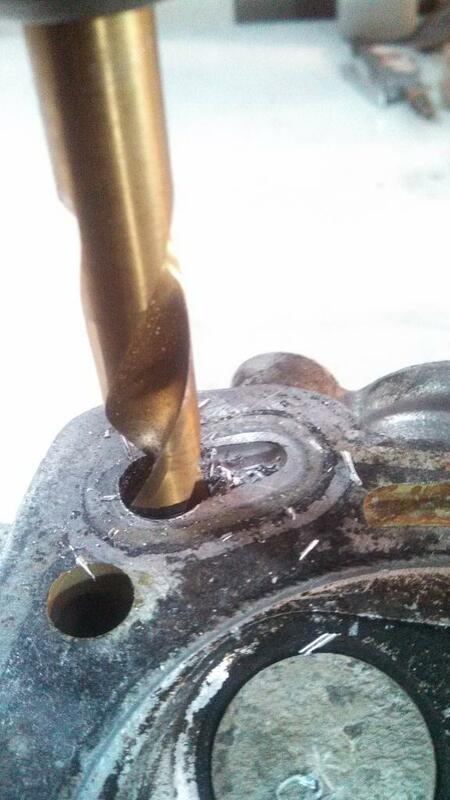 I like to drill a little then check to make sure my counterbore is staying concentric with the bore. IE make sure your bit is staying centered and not wandering off course. If it does wander off make sure there is some shelf on the side of the oil port. Ideally you would pull the plug on the front of the block where they originally drilled that oil port. Unfortunately I have found these are incredibly stuck in there so plan on a big project to replace it if you go this route. If you drilled with a sharp bit and good feed and speed you should be safe by blowing out the ports from the #1 intake and exhaust cam journals. When you blow into one use your finger to cover the other to ensure a good blast is forced out the oil port. 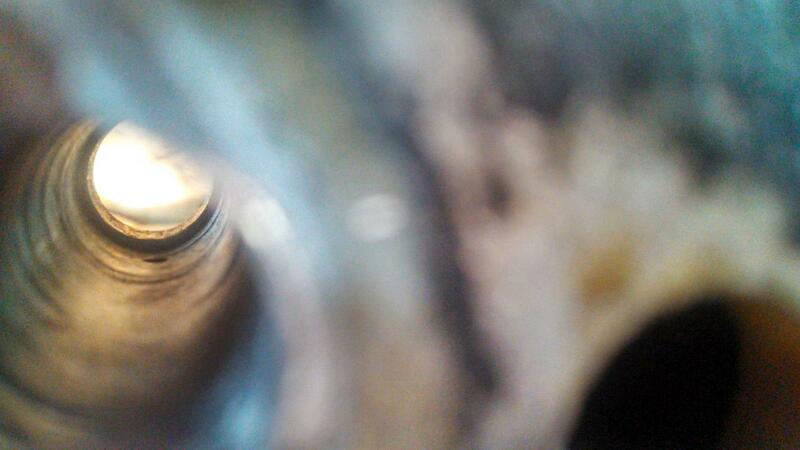 When you look down the bolt bore the bore and oil passage should look clean and free of debris or flash. If there is any concern that it may not be completely clean or clear then you will be best off pulling the cap on the front of the motor. Pull this plug and you should be able to look into the oil port and clear out any debris or flash. Another option is to first blow it out with air to knock out any loose shavings then use something like a dental pick to try to debur the oil port and then blow air through the cam journals again to clear out anything you freed up. This guide also applies to 20 valves however those plugs were replaced balls that can't be easily removed so you will need to use an alternative method of making sure the port was clean and clear. It will be best to do this prior to getting the head surfaced however if you aren't or already have then you will want to debur the edge on the headgasket surface and then hit it with a honing stone to ensure there is no ridge.